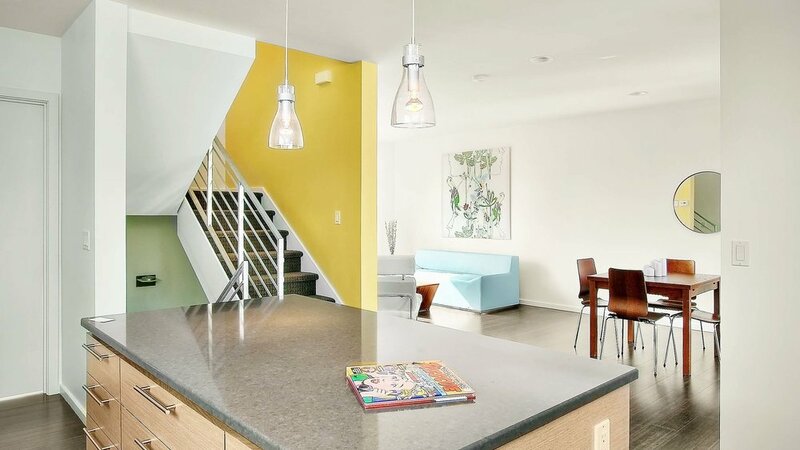 Fremont Peak is a series of three contemporary 4-Star Built Green homes located on narrow lots in Seattle’s Fremont neighborhood. Extensive shoring of the steep slope on the site allows for more usable open spaces. All units have panoramic views of the Olympic Mountains, Ballard, Puget Sound and the Ship Canal.